i was check where are to buy….it’s ebay sale this one $8.49! 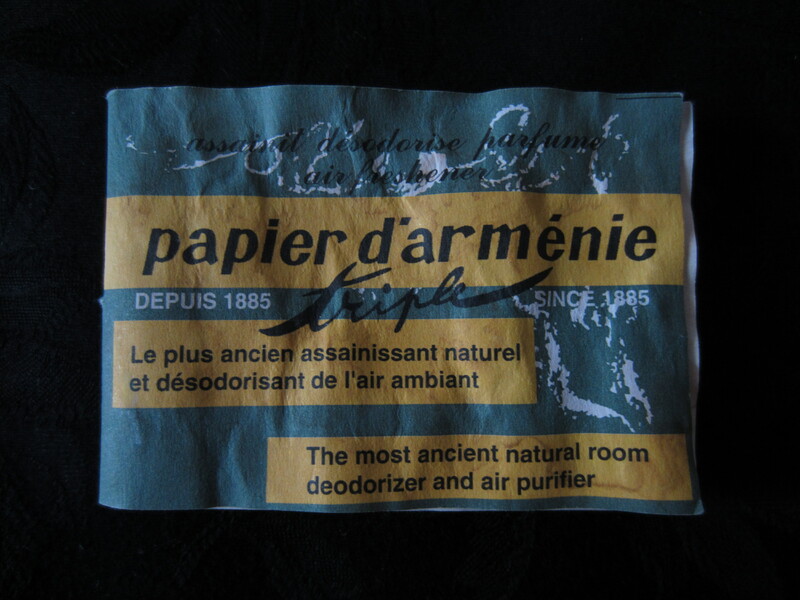 Papier d’Arménie, or Armenian Paper, is a room deodorizing product sold as booklets of twelve sheets of paper each cut into three pieces, which are coated with benzoin resin, the dried sap of styrax trees. At the end of the 19th century, Auguste Ponsot discovered that Armenian households would burn Styrax as a fragrance and disinfectant. M. Ponsot adopted this habit with the help of the pharmacist Henri Rivier, whereby benzoin resin was dissolved in alcohol, then infused onto a blotting paper support. 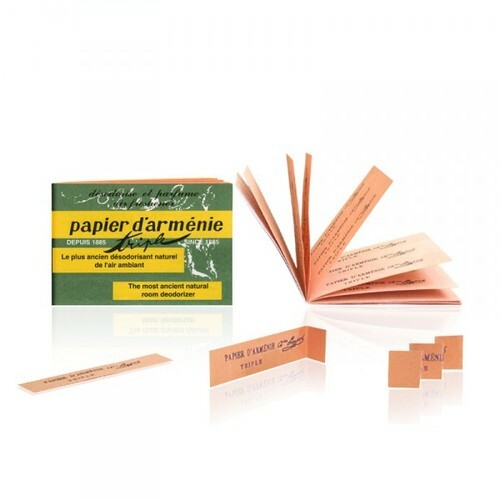 The “alchemy” inherent in Papier d’Arménie became a huge success with the emerging importance of hygiene from 1888–1889, and has been steadily produced in Montrouge, France since 1885. 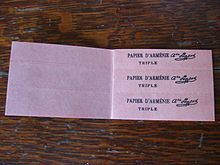 Typically, a strip of Papier d’Arménie is torn from the booklet, folded accordion-style, and placed on a heat-resistant support. The strip is lit and blown on until the paper begins to glow and release the vanilla scent characteristic of resin compounds. The smell is pleasant and subtle, underscoring its primary use as a “purifier”. This belief began with the practice of burning Papier d’Arménie on a bell set above a piece of raw meat, which would not rot by the end of a week (as normal meat almost certainly would). 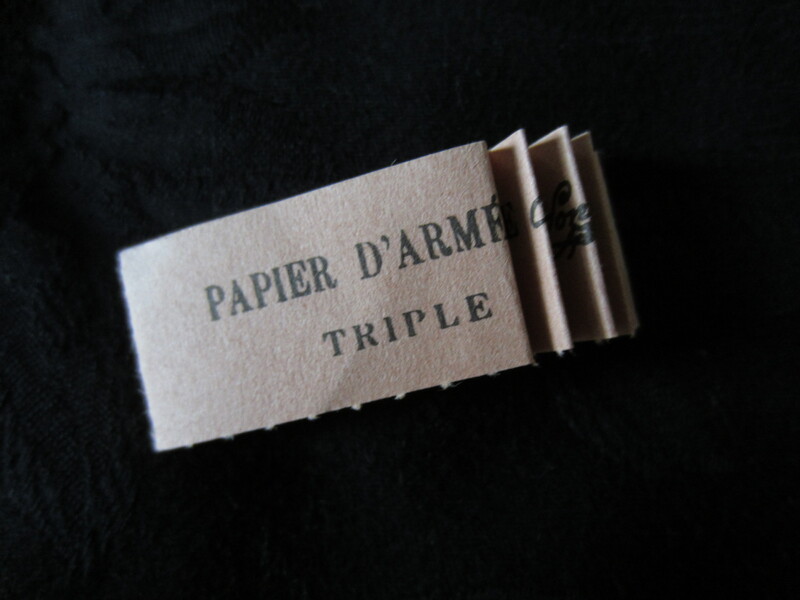 Today Papier d’Arménie is sold primarily as a form of incense or perfume, or as a form of air freshener; strips tucked between the books of a library will keep the air from turning stale for much longer than a conventional product. 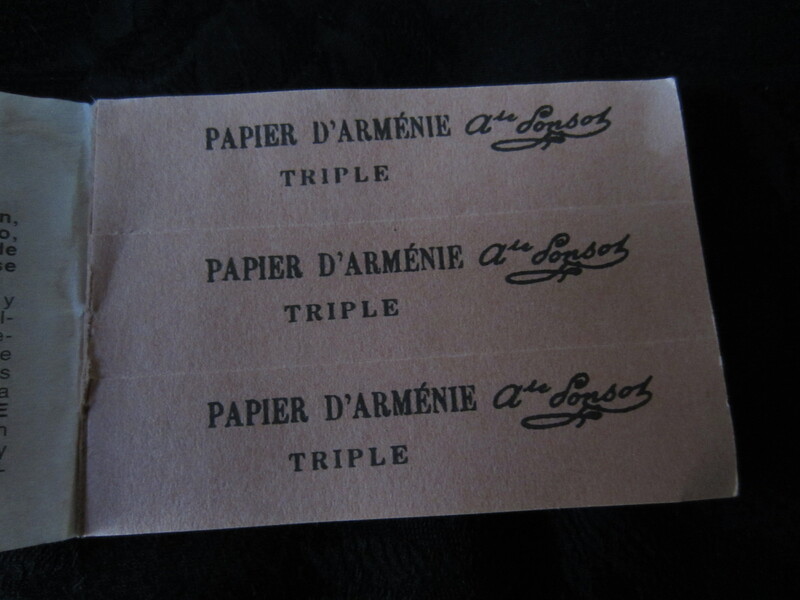 Papier d’Arménie is also effective at combating the smell of cigarette smoke and the that of animals. Papier d’Arménie has been found to release benzene and formaldehyde in a study of interior deodorizers conducted by a consumer’s union. 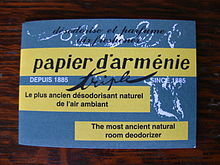 However the same study shows that of the 72 products tested, Papier d’Arménie presented the lowest rates. 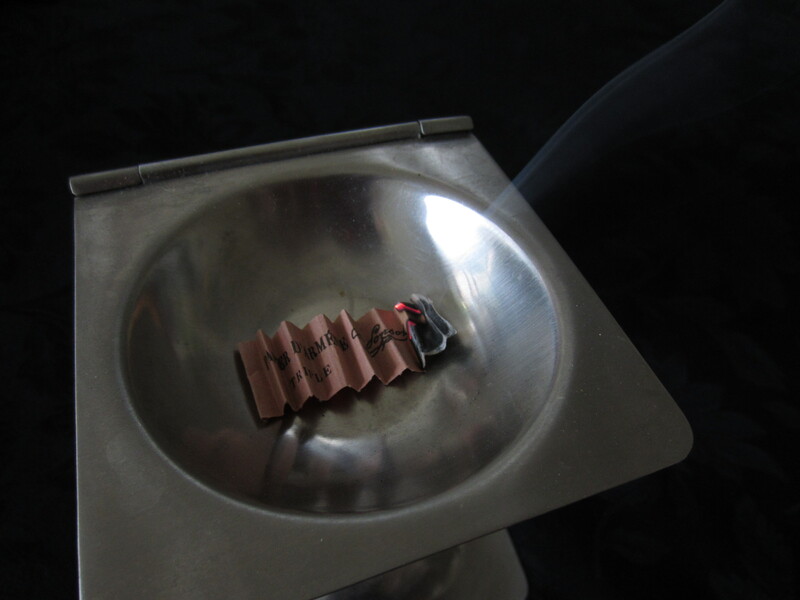 Normal use does not present a hazard; it is typical to burn 3 or 4 strips per week, and to air the area regularly.